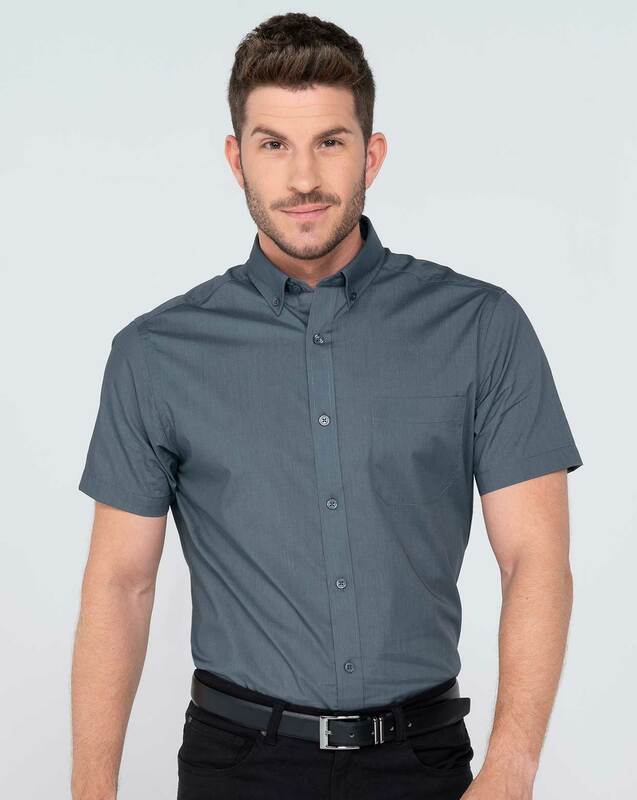 Men's short-sleeved work shirt with front pocket and buttons on the collar. Work shirt Poplin fabric that stands out for its resistance and silky touch (is a fabric less thick than the OXFORD). Available in 6 colors and from size S to 4XL. Suitable for all seasons of the year.